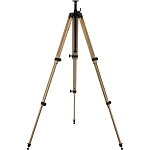 The Report 242 Ash Wood Tripod from Berlebach is a camera and optic support constructed from solid ash wood in order to improve its vibration dampening ability. As a member of the Report series the 242 has been designed with a magnesium mounting head which, along with an included key, allows the user to choose between 10 different center inserts to fit their specific needs. The 242 includes the module insert #4 which features a 19.6" rapid center column seated within a leveling ball. Unlocking the leveling ball allows the user to tilt the column 30° in all directions and, once set, the entire ball and column can be rotated 360°. A spirit level has also been integrated into the center column's base-plate to ensure precise centering when required. Designed for use in the field or studio, the 242 can reach a minimum height of just 21" but can also be extended to a max height of 64" including the center column. 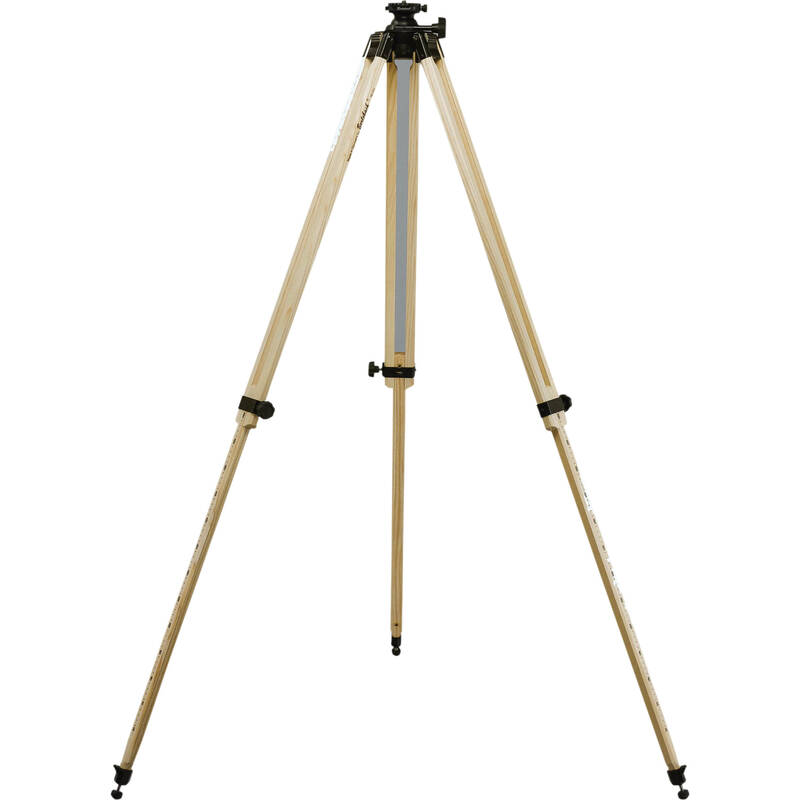 Each 2-section leg features a versatile 5-angle leg lock allowing the legs to rest independently at either a 20, 40, 60, 80, or 100° angle while maintaining the tripod's ability to support a maximum load of up to 26.4 lb. When folded, the 242 collapses down to 31" for storage and weighs just 6.6 lb, making it easy to carry over short distances. 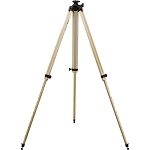 Additionally, the tripod features such extras as durable rubber feet and a second, single-axis spirit level integrated into the tripod's base.